The arrival of a new year also implies the setting of new challenges in all areas of our lives. 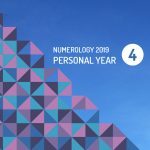 Thanks to this discipline, it is also possible to determine with Numerology 2019, personal year 4, according to various aspects or principles, how our year will pass according to the numerical combination also known as Numerological Natal Map. Number 4 represents stability and responsibility, but especially trust. They always give the front to problems and difficulties. Sometimes they can become people who do not give an arm to twist before positions that are adverse to them. Another characteristic that distinguishes them is their prudence and ability not to take a wrong step without thinking twice. This does not make them boring at all, as they have developed an attractive sense of sarcastic humor. For number four, life can always be seen from an optimistic point of view. In the field of work, they are always committed, methodical and organized. They always want to make their point of view known sharply and without detours. They complement the formal aspect with a life of adventure and travel. For number four, the year 2019 will be extremely necessary to be rigorous and analytical. Stability is fundamental in order to achieve what we yearn for. The neuralgic point will be in the labor plane and it is there where you will have to focus all the energies that will make your life evolve by leaps and bounds. You must remember that everything can be a reality if you reinforce yourself in being strict with your time and disciplined. It may be seen as a sacrifice although over time you may perceive it to be the best decision. Around you, there may be some distractions, and even if the temptation is great, the reward will always be better. You should surround yourself with people who have the same energy, without pretensions or ego problems. The clearer your spirit, the faster everything will flow and help your intentions to finally crystallize. Do not forget that success does not come by chance. What 2018 was like for number 4? One of the main messages of number 4 for last year was forgiveness as a way to dispel grudges. The key to success was to always be realistic and not be overwhelmed by dreams that do not come true. Life as a couple was of great help to face any kind of inconvenience. Through the loving companion, it was possible to reach the necessary emotional balance. As far as the material was concerned, there were many proposals that arrived and were concretized with good perspectives for the future.